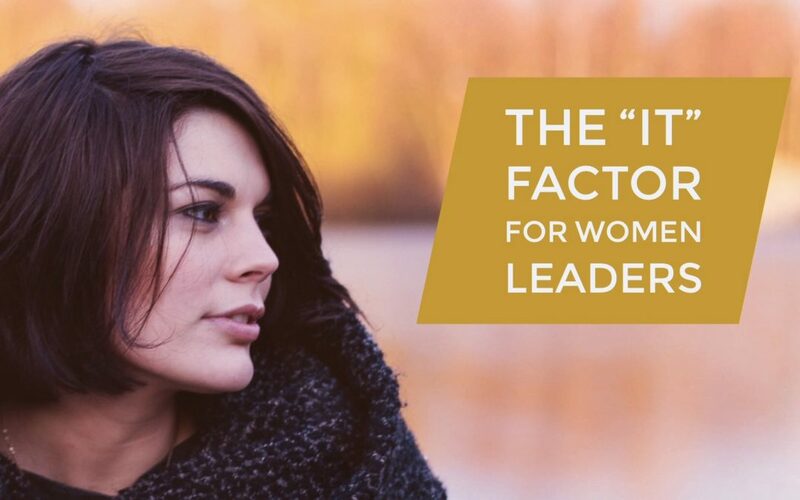 For women leaders, having confidence is a huge advantage in careers, life, and relationships. It’s the key to attracting the right job, the right people, the right decisions from others, and achieving goals. All women leaders have a baseline of confidence. Some women leaders have unshakable confidence built upon strong foundations; others find their confidence level is a bit shaky when faced with mistakes, criticisms and failures. Confidence is closely tied with our sense of self-esteem. Self-esteem enables us to experience ourselves not only accurately but gladly. It’s a realistic, appreciative opinion; we can be honest about our strengths, weaknesses and everything in between, and still feel good about who we are. According to Glenn R. Schiraldi, Ph.D, author of 10 Simple Solutions for Building Self-Esteem, self-esteem is built from three factors: unconditional worth, unconditional love and growth. Unconditional Worth: This means that a woman leader’s worth isn’t increased or diminished by external factors, but is based on her true value as a human being. This can be confusing to women who have learned they must achieve and acquire in order to be considered worthy. Once we, as women, believe in our intrinsic worth, we are relieved of the need to judge ourselves and others, or compare and compete on external values and factors. We can choose to value our own innate capacities and see the many ways we contribute to the well-being of ourselves and others. Unconditional Love: Abraham Maslow noted that psychological health is not possible without love for the essential core. Even those who have not experienced unconditional love from parents can learn to provide love to themselves and others. Love helps us experience our worth, feel satisfaction, and enjoy growth and life. Growth: As women, we feel better about ourselves when we are living constructively, learning, making decisions, developing and growing. Growing does not change our core worth, but it helps us experience it with greater satisfaction. In summary, self-esteem is a sense of satisfaction that comes from recognizing and appreciating our intrinsic worth; it encourages us to choose to love and grow. It’s not based upon comparing and competing. We can enhance and enjoy our sense of self-worth through learning, growing, achievements and goals. Without doubt, our own critical nature eats away at our confidence more than any outside judgment, mistake or failure. Over-active negative mind chatter can cause women to react defensively in neutral situations. Many of these habits of thinking are learned and can be unlearned. Forget about blaming parents, teachers, and people who didn’t like us when we were growing up. No matter what happened to us or how we ended up with negative reactions, we can learn to disconnect from harmful automatic thoughts. We can replace negative thoughts with positive ones that will make us more effective, happier, and self-confident. Ultimately, we are responsible for the thoughts we choose. We can’t control many things in life, but we can control our thoughts. We lose confidence when we apply negative thinking to ourselves or other people. No one escapes these intrusive thought patterns. The key is to become aware of them. Once we catch ourselves engaging in automatic distortions, we can re-think, reframe, and revise our thoughts. By acknowledging the reality, we avoid catastrophizing and assuming, and we agree to do what is possible by starting. When we look at what we can do, instead of what’s wrong, we give ourselves a chance to succeed and grow from the experience. When we guard against distortions and negativity, our confidence grows instead of withers. Our minds start to acquire more positive thinking habits. We set ourselves up for success and build self-confidence. Someone in your company may have recently been promoted to a leadership position. This person successfully competed against other qualified candidates, some of whom were probably just as experienced and smart. As often happens in judging one candidate over another, the decision most likely came down to degrees of “executive presence” or what some refer to as the “It” factor. As it turns out, everyone’s definition of the term seems to differ. But planning your career and determining your leadership development needs shouldn’t be left to guesswork. 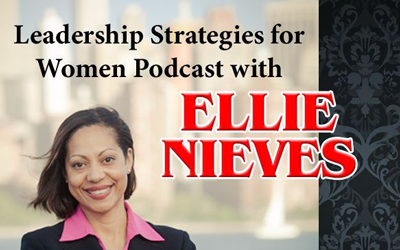 Women who want to be promoted to the C-suite, must learn how to acquire or improve their level of executive presence. Women leaders who are already in senior management, must help nurture executive presence in the people they want to groom for succession. The qualities associated with executive presence can be difficult to learn and practice. Most people aren’t born with executive presence. They develop the requisite skills with experience, maturity and a great deal of effort. 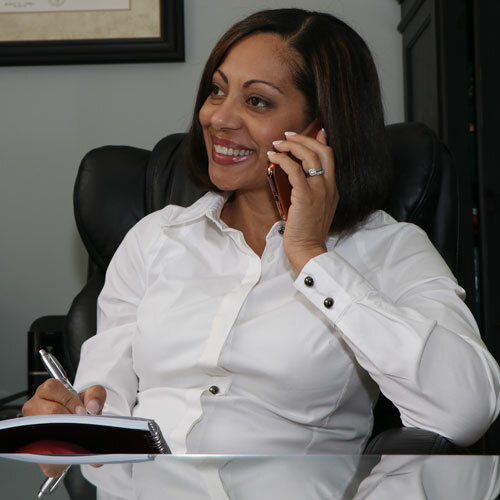 Executive presence should not be confused with speaking or presentation skills. They’re part of the total package, but presence is what you project wherever you are and whatever you’re doing. A woman leader’s challenge lies in managing others’ perceptions of her, which is no small task. Transparency: Be genuine, open, straightforward, comfortable in your own skin. Aim for truth and clarity, even when difficult issues arise. Don’t try to please or cover up with spin. Passion: Love and feel strongly about your profession, job, industry and life in general. See and believe in optimism. Clarity: Communicate your thoughts, feelings and insights with crystal clarity and simplicity. Master metaphors and stories that make an impact. Intelligence: Develop the ability to process, retain and apply information, whether it’s academic or street-worthy. Pattern Recognition: Sharpen your ability to boil down complex factors and mounds of data to rare conclusions. Offer insights others may not see. Results-Oriented: Be driven and full of purpose; determined to achieve and succeed. Able to discern dichotomies, unravel paradoxes and work with uncertainties. Flexible and willing to adjust goals. Be decisive under pressure. Have a bias toward action. An attitude of giving, rather than getting. Work in the service of common goals for the organization’s and society’s higher values. Confidence: Communicate confidence even when you don’t have all the answers. Ask questions and listen. Humility: Be willing to admit mistakes. Seek answers and advice; listen to others. Courage: Be willing to take risks and positions against considerable odds. Work to perceive possibilities and innovations. Humor: Develop a balanced sense of humor that is not over-the-top, but in the right measure to disarm others’ defenses. Social: Genuinely care about others; see both strengths and weaknesses in people. Allow for people to learn from mistakes. Promote healthy self-esteem in others. Respect others and show a real—not manufactured or superficial—interest in them. Keep in mind that no single woman leader possesses all of these qualities in abundance. For example, many successful CEOs with strong executive presence lack one or more of the likeability factors, such as humor and humility, but they make up for it in other domains. Ultimately, your executive presence is reflected in the energy and image you convey, along with your understanding of what works and what doesn’t. Why do some women succeed while others fail? How do successful women set the stage for the next promotion, higher salaries, or stellar performance? Implementation of effective strategies and persistence ultimately determine who’s more likely to succeed. In other words, it’s all about the goals. It doesn’t matter how smart you are. What matters is your ability to set specific goals, seize opportunities and act on them. Success comes to women who believe they can succeed, but it also requires a specific plan that won’t be abandoned, even during tough times. Winning women also know that success may not come easily, but they remain focused on progress, monitor milestones and recognize what still needs to be done. They don’t let up. High performing women have grit. They know obstacles are inevitable and find a way around them. They develop their abilities by finding solutions to setbacks. They build willpower by using it like a muscle—anticipating when they’re vulnerable, avoiding temptations, and preparing contingency plans and coping strategies. Successful women focus on what they will do, rather than what they won’t do — a tactic that fosters positive energy. They know success depends on adapting to challenges and persisting, even when they’re ready to wave the white flag. Be Specific. Knowing exactly what you want to achieve keeps you motivated. Outline what you must do on a daily basis to realize your desired results. Which actions must you take to be a better manager/spouse/parent/friend or perhaps eat more healthfully? What will success look like when you’re there? Seize the Moment. Predetermine when and where you’ll take action to avoid the traps of distractions and other competing commitments. The best tactic is “if/then” planning: If X happens, I will do Y. Accurately Gauge the Distance. Decide how often you’ll evaluate your progress. Determine where you’ll gather information: Can you self-assess, or will you need others’ feedback? Create reminders to perform your assessments. To stay motivated, remind yourself of the tasks that remain for goal completion. Focus on Getting Better, Rather Than Being Good. When faced with a new and difficult project, budget the time needed to get a handle on it. It’s OK to make mistakes. Take advantage of others’ expertise and ask for help. Don’t compare yourself to others — only to your past performance. Are you improving? Have Grit. Grit is the willingness to commit to long-term goals and endure in spite of difficulties. Improvement is always Successful professionals understand that their abilities are far from fixed. They believe they can improve through practice. Strengthen Your Willpower Muscle. Willpower is depleted with use. Rest helps you recover quickly and remain positive. Reinforce your willpower muscle with small tasks: Take the stairs, make your bed, and show up on time.